Promotion! Trade IN & Trade UP! Trade IN & Trade UP Promotion! 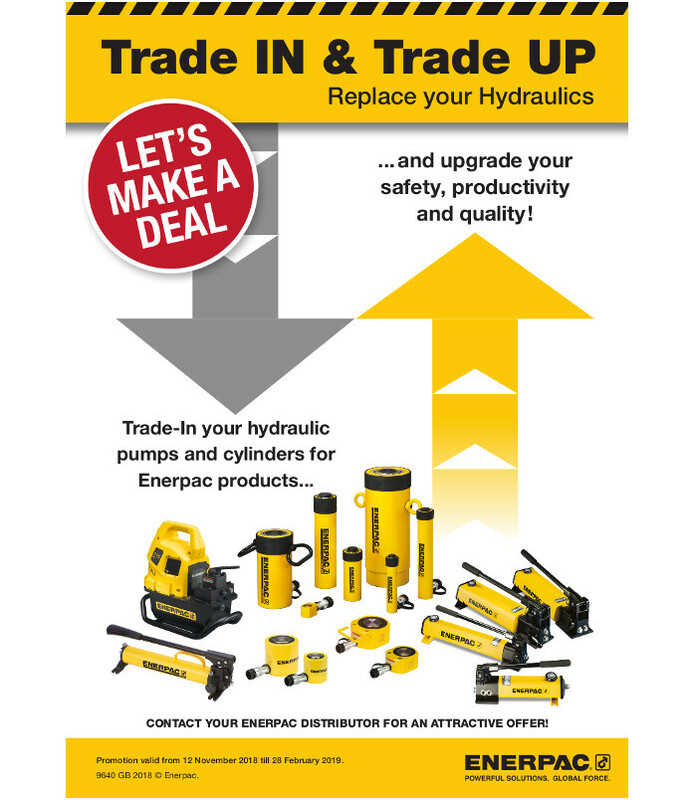 Trade-In your hydraulic pumps and cylinders for Enerpac products and upgrade your safety, productivity and quality ! Promotion valid from 12 November 2018 till 28 February 2019.